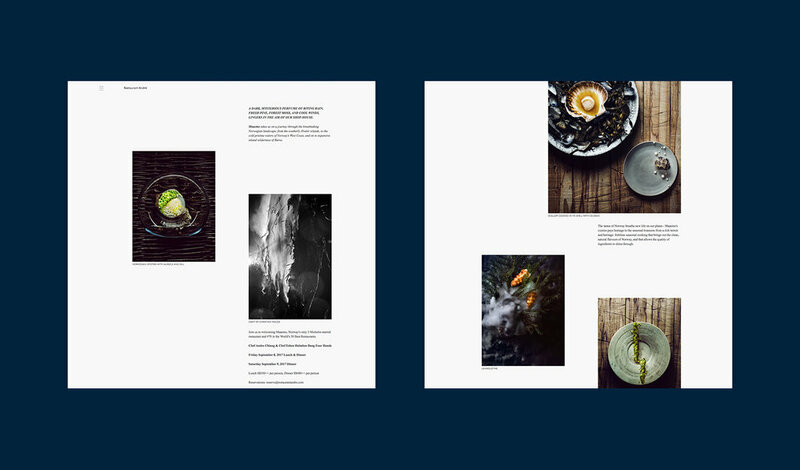 When André Chiang wanted to revitalise the digital experience for Restaurant André, our friends at &Larry approached us with the challenge to build an irregular website that was erratic yet poetic and philosophical at the same time. How could we build a website that displayed the recent posts in a mixed width layout while respecting the strict whitespace rules that ensure the design never degrade into a random jumble of mismatched blocks? The aesthetic that may seem odd to the passing eye was created to express the ever-experimenting and ever-evolving essence of André's craft. 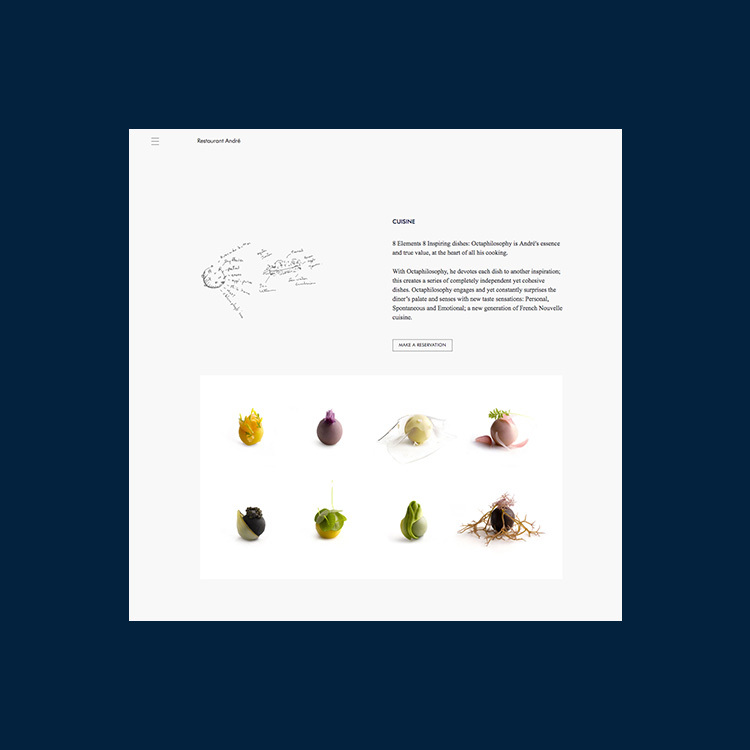 More than a static website, André wanted his website to serve as a digital notebook to house his observations, epiphanies, and realisations and a crystallisation of the ideology behind his culinary creation – the Octaphilosophy. To the untrained eye, the design seemed to be a mere jumble of images with varying widths and heights, topped with hover effects. 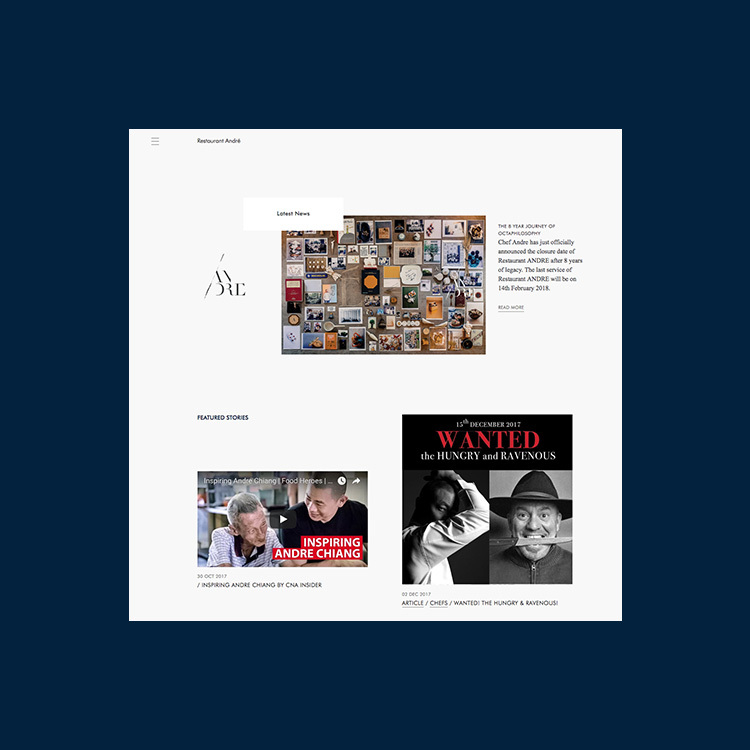 It might be tempting to use position-absolute to anchor precise location of the content and then rely on responsive breakpoints to collapse the design into a mobile responsive layout. While precise, the rigidity of a position-absolute solution makes a mockery of the sketchbook-inspired art direction. We quickly realised that we had to allow flexibility in terms height as opposed to width to stay true to the insouciance the design wanted to convey. This was especially true when it came to building the Octaphilosophy page where we had to layout the content in a renegade masonry layout. We applied the translate function in CSS transform the content. This gave us pixel-precise control to layout the images while retaining the innate responsiveness the grid system allowed us. The result is a beautifully chaotic website that is held together by seemingly fragile design rules and code. 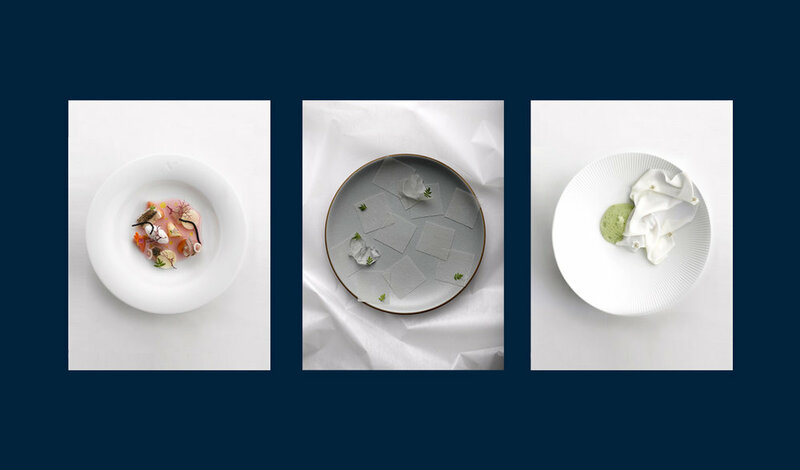 More than a static website, André wanted his website to serve as a digital notebook to house his observations, epiphanies, and realisations that inspire his culinary creations. Built atop our proprietary Python-based templating engine, we created a custom CMS that enabled anyone to create unique and visually complex layouts for each and every Story. Restaurant André shuttered its doors on February 14th, 2018. The website remains online as an archive of this short-lived but significant chapter of André's creative endeavours and culinary explorations.